KexWorks | Website Design Tips: What is a QR Code? 24 Aug Website Design Tips: What is a QR Code? I’m sure many of you know by now what a QR Code is but I still run into people who have no idea. So this article is mostly for them. A QR Code is short for Quick Response Code. It’s called quick response because it could be quickly read by a cell phone or other device and transfer data you could use. QR Code are now available everywhere, in magazines, posters, products, catchup bottles, business cards, flyers, bus stops and even on shirts. Once you scanned it the code can take you to a website address, Facebook page, phone number, address, coupon, map, YouTube video, iTune link, a download, Twitter account or you can simply find out the name and phone number of the guy or girl at the bar. 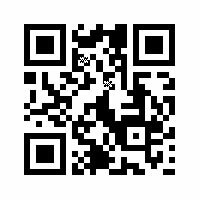 All you need to do is download a QR code reader from your app store to your cell phone and a whole new world will open up for you. QR codes that you’ve never seen before will pop up everywhere suddenly. And how do you generate the QR Code? There are many websites available for this purpose. You can simply search for “QR code generator” in Google and pick one you like. You can pretty much use any of them as they all do the same thing. If you need any help with your QR code let us know and we will set it up and send it to you. Stay tuned, next week we will give you some great ideas on how you can use your newly acquired knowledge about QR Codes.